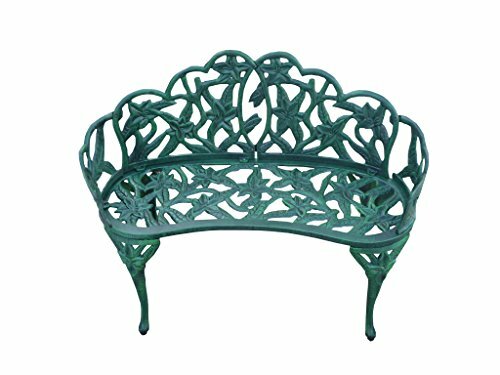 *My Top Favorite Lovely Outside Garden Benches for Sale! 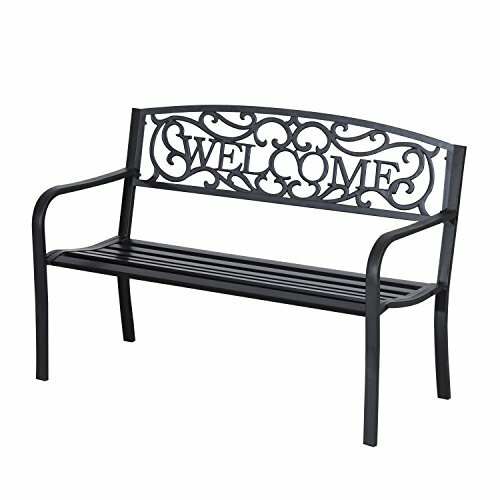 On this page you are going to find the cutest outdoor garden benches being sold in my opinion! They make gardens come alive with their cuteness! For me there’s nothing better than spending time in a cute garden sipping a nice glass of juice and just being in contact with nature! I hope you enjoy all the cute outdoor benches from this page and have fun choosing one for you! They also make excellent gift ideas to a new home owner, newlyweds, gardeners and grandparents! 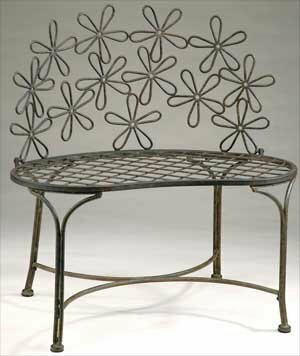 This cute metal daisy bench is one of my favorite outside flower garden benches! This cute bench is also very affordable and you can have it in your porch or under a tree! It is very sturdy and will make a fun and unique gift idea to anyone with a garden! Looks adorable next to colorful flowers and cute plants too! 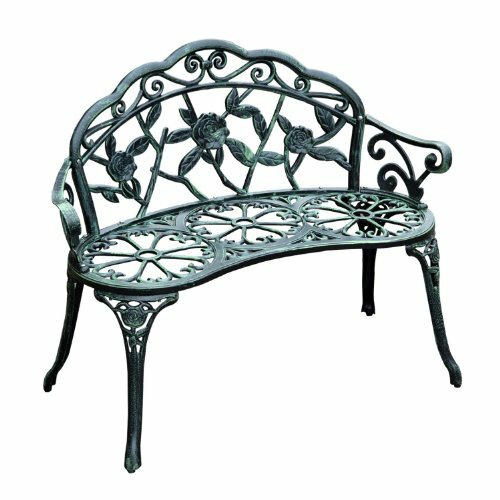 How cute and adorable is this cast aluminum garden bench with flowers on the back? 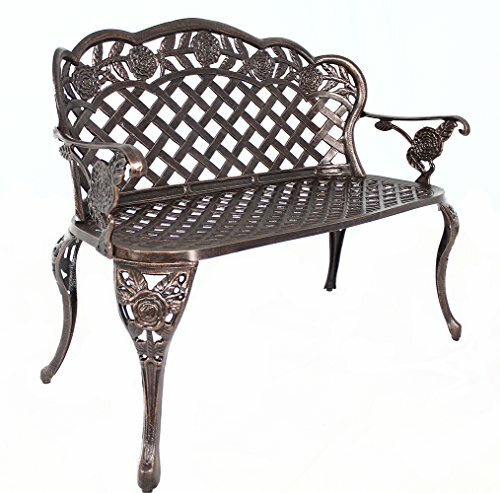 It is one of my favorite flower metal benches for sale! I love the dark green color, I love the cute and perfect rose flowers on the back and I love how affordable it is! Just add a comfy cushion and enjoy this fun bench! It’s also very sturdy and very attractive! Stunning Large Blue Butterfly Garden Bench! I absolutely love butterfly garden benches! This cute butterfly bench will totally stand out in your garden anywhere you place it! It is adorable and very sturdy! It is made of steel! 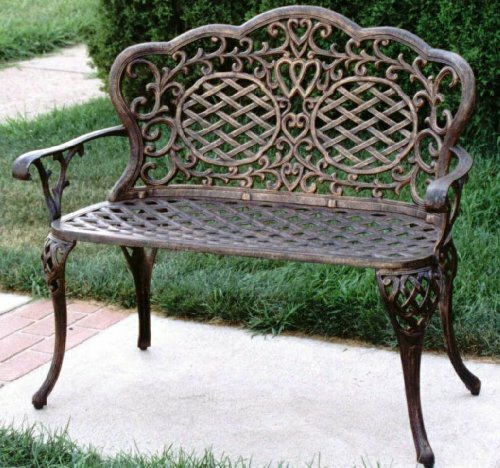 Best Metal Benches for the Garden! What better way to greet your guests than this? It’s cute, it’s sturdy, it’s large and it is very affordable too! You can also have it in your porch, near the front entrance! Here comes more flowers, everybody! 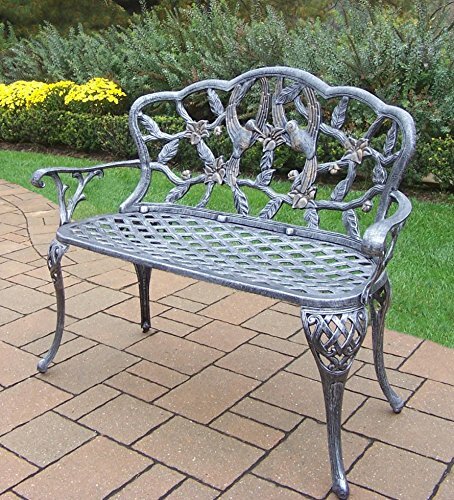 What a beautiful and girly metal garden bench with roses design on the back! Every day will be a beautiful sun shining day in your garden with this cute bench! I love the dark copper color! Perfect for a small area! Even though it’s small, it is very sturdy and can support large people too! 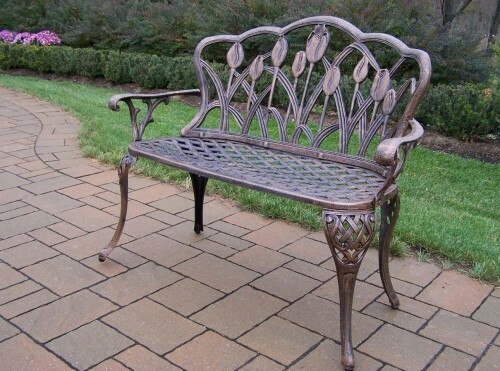 gorgeous metal bench with hummingbirds design on the back! Perfect gift idea for a girly lady’s house or for your mom or grandmother’s garden! I also love this beautiful antique bronze finish! Cute, fun and very unique aluminum butterflies garden bench! Aren’t they absolutely perfect for any garden? What a beautiful tulips loveseat bench! Full of gorgeous tulip flowers on the back! Isn’t it perfect for grandma’s garden? Happy buyers said it looks very nice and it is comfortable to sit on as well! Another very cute rust free cast iron garden bench in a very cute lily flowers design all over! I love the verdi green finish as well! 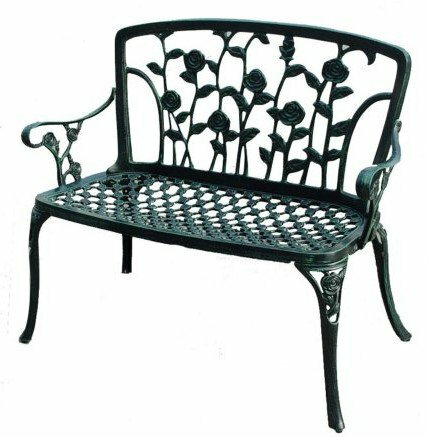 If you are looking for a very cute and very affordable metal garden bench with pretty roses design or flowers design on the back, your search is over! Perfect to create a cute corner in your garden or porch! Great gift idea for moms and grandmothers! 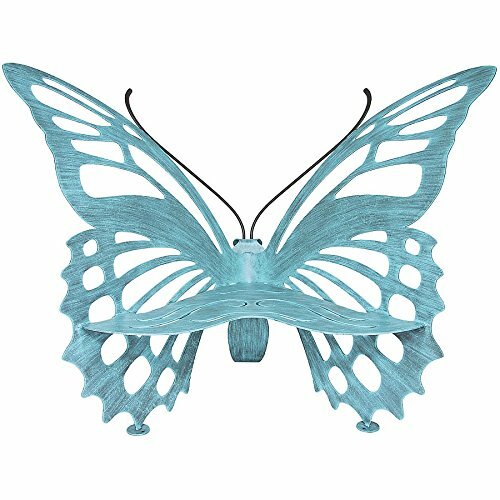 Adorable Butterfly Shape Metal Bench! 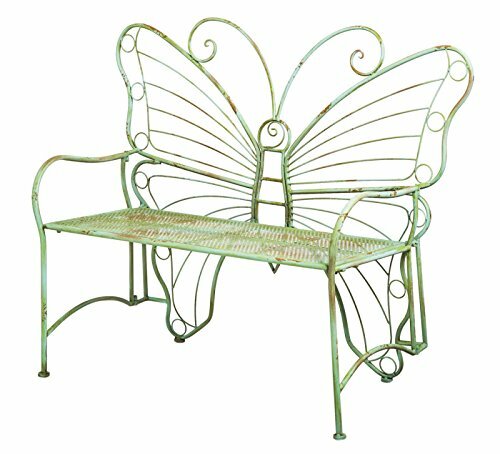 And I will end my selections of my top favorite cute metal garden benches for sale today with this lovely metal butterfly shape outdoor bench! Perfect for a girly woman’s home! I would definitely have it among colorful flowers and beautiful plants!